LA-resident Antonio Giacca takes a brief break from outputting productions on his own imprint Optimizer to turn out a track for Toolroom Records in the shape of ‘Alumbra’. 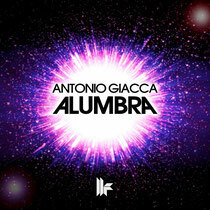 As the electronic music movement reaches fever pitch ‘Alumbra’ keeps things fresh, standing out thanks to Antonio’s own distinct style that’s been championed by the heavyweights of the progressive house scene. A chunky bass groove sets the tone of the record before an explosion of orchestral elements introduce a massive lead hook. Designed to work on the dancefloor, this is a top tune from Giacca. It’s out now.